I am assuming that most of us that have heard that “form” or “ideas” are basic to Plato’s philosophy. This is certainly true. But what is form? Are forms indeed the “really real” and is physical being simply an imperfect derivative of form? Are we to understand forms as perfect being and physical being as defective being? It is important to get things right here. How can many things, which, in that they are different from each other, nontheless be the same and so truly bear the same name? The standard (platonic) answer to this question is that many things share the same form. Form is the English translation of the Greek word “eidos” which indicates the ‘look’ or ‘appearance’ of things and so is related to seeing. The form of a thing is how it appears to an apprehending consciousness. To say that many things share the same form is therefore to state that the many things display the same content to the gaze (they ‘look’ the same, and so can be said to have ‘the same look’ to them). Thus many triangles are triangle insofar as they present triangleness to the apprehending consciousness – to thought. Pious things ‘look’ pious, large things ‘look’ large, and so forth and so on. The form of a thing is its identity, what-it-is, its essence if you will or ‘whatness’. Form is the constituting reality of the many things. This is important! Without forms there are no things. Forms and things are not to be seperated from one another. The form of things is the very reality, the identity, of things. Without forms there is no reality at all. Forms are not “things” existing in a different realm of which physical things are a defective (or imperfect) copy. Forms are the intelligibility of things. To fully understand what Plato means we must briefly look at his revered predecessor: Parmenides. The latter wrote a poem in which he is given to understand what being is. Previously attempts had been made to understand being, that is to understand the explanatory principle of all things, and Thales of Milete suggested that it was water. The problem of course is that if water is the being of all things than all things must be water and just water. Yet the old Greeks knew perfectly well that not all was water. There was also (at least) fire, earth, and air. The principle or arche of all things, the being of all things as a whole, could not be one of the individual beings. If the arche or being of things is to be the explanatory principle of all things as a whole, it cannot be one of them. Water, as Thales had suggested, must be ruled out as that principle. But so must air, earth, or fire. But if not any of the beings what exactly is being? How can we think of being as a whole? … it is the same to think and to be (Fragment 3). Put differently: being is to be intelligible, to be available to thought. To return to Plato we can say that Plato’s doctrine of being as form is another way of saying that “to be is to be intelligible.” We are far removed from a dualism that posits two worlds or realms. Form is the whatness, ousia (essence) of things and garantee that there is anything at all. “Being, as what is given to thought, consists of ‘looks,’ that is, intelligible whatness, identities, ideas, that show up in varying connections and contexts, and thus lend a share of intelligibility, and hence of reality, to the world around us (Eric D. Perl, Thinking Being: Metaphysics in the classical tradition, p. 27). In the next post in this series we will be taking a look at what implications it will have to understand forms as the reality of things rather than as perfect things floating in a higher real of which the things of physical reality are defective copies in a lower realm. I am an Anglican Catholic Priest, currently residing in Orvelte, the Netherlands. 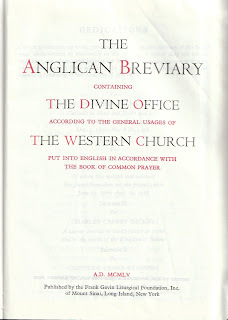 This entry was posted in Anglican Breviary, Platonism, theology. Bookmark the permalink. I love Eric Perl’s writing on this subject. I’ve re-read his “Theophany” a couple of times and am currently in the middle of “Thinking Being”. Thanks, Father, for your contribution to this Great Conversation. I am really, really enjoying Perl’s writing on Platonism. It seems to me his reading of the tradition makes so much sense he must on to something! The Psalms, are first, midst and last.